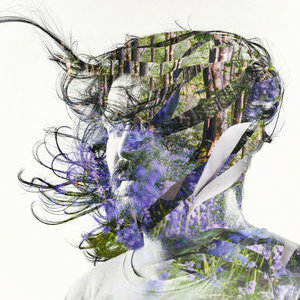 If you want to see Bibio (aka Stephen Wilkinson) in concert these days under his self-produced, lushly-recorded moniker Bibio, well, you'll have a better chance running into him in the audience at the show of a different band altogether. "I won't be touring with this record," Wilkinson tells PopMatters, referring to Ribbons, his ninth studio album proper. "It's not something I want to do in general. I'm not a performer, not on stage anyway. I like to perform alone in my home or studio into microphones, that's how I like to express myself as a musician, it's a place where I can get lost in my world of imagination and make something for people to connect to, I can't feel like that in front of an audience, it's the total opposite in fact, it takes me so far out of the zone that I don't feel like I can get into the music. "The stage feels as alien to me as it might to a writer, painter or film director," he continues. "I'm often faced with an expectation that I should perform live because I think we've inherited a culture that still sees music as something to be performed and that musicians are default performers, but I'm interested in the art of making records, and not trying to recreate them on stage. I don't go to concerts either. The biggest buzz I ever get from live music is seeing live jazz (which is very rare as I don't live in the place for it), that really excites me, but that's music that exists because of live performance and on a much higher level to most live music, in my opinion, it's really alive and magical to see it happening in front of you." That doesn't detract, however, from the all-encompassing emotional experience that is listening to a Bibio album. While his early works were beautiful if lonely patchworks of acoustic guitars and light electronics, his stretch of records from 2011's breakthrough Mind Bokeh to 2016's joyous yacht-psych fever dream A Mineral Love helped garner Wilkinson a sizable audience, the kind that led him to score films and get choice soundtrack placements. While this year's Ribbons carries on A Mineral Love's aesthetic while adding in more pastoral elements like fiddle and mandolin (all played by Wilkinson, of course), in between those albums laid a release called Phantom Brickworks in 2017, which was a synth-based ambient record in the truest sense of the phrase. So why does Ribbons leapfrog over Brickworks to instead be a direct sequel to Mineral? "I see Phantom Brickworks as a standalone project in my discography, but in my day-to-day life, it's as part of me as anything else I make," Wilkinson explains. "It all overlaps in reality, in fact the last few days I've been making more Phantom Brickworks-type stuff, using the same techniques, instruments, reel-to-reel tape recorder and guitar pedals as the very first Phantom Brickworks track, although this time I have a cello, which fits the project like a glove. Talking about it is the same really, and as I get older, I want to do less and less talking about my music." Wilkinsons's turn-of-the-decade albums have featured more and more songs with his hushed vocals, and with it, his sometimes-lonely lyrical worldview. A bleak relationship picture is painted in the lead single "Curls" ("Who'd have thought that we'd turn our home to hell? "), while the glimpses of a homelife remembered and regretted in "The Art of Living" paint a sort of pined-for nostalgia. Ultimately, the whole record has notes of loneliness and isolation in it, but as Wilkinson explains it, this is about par for the course. "'The Art of Living' is an optimistic track but it also talks about depression or emotional pain," he divulges. "I'd say that memory and longing are themes across my entire discography. I'm a dreamer, and longing is a type of dreaming, it's like dreaming attached to memory. Dreaming is often what keeps us going, sometimes the desire for the unachievable. I'd say the unachievable is more linked to the past because we don't know what we are capable of achieving in the future, but we know we'll never be a child again, we'll never relive the feeling of teenage first love when we're older. There's something addictive for me in trying to create murky portals onto those things, it's a bit tormenting in some ways, but it can be beautiful. "In music, you can conjure up these emotions with melody, harmony or timbre. When you listen to certain music, like a Bach prelude, it's like listening to a person tell you their life story, the ups and downs, the complex emotions, in fact when I listen to Bach I often 'hear' a long sequence of facial expressions, yet it's often just a long string of notes (Bach was the ultimate genius of this). What does that say about us as a species and more interestingly, what does it say about nature or physics? I think about these things all of the time but I'm not looking for answers, I like the mystery, just like how when I hear something funny, I just want to laugh, not know why it's funny. I enjoy participating in the mystery, in fact, I feel compelled to do so." Wilkinson goes on to explain: "A few years ago I had a really profound experience, sitting alone listening to 'Laureline' by the Gentleman Losers, it was the most potent feeling of heartbreak I've heard in music, almost unbearable, yet it was during a happy moment in my life, I was on holiday with my girlfriend and friends in a cottage in a beautiful valley in Wales next to forests and streams, they were in the next room while this was 'happening'. I love that about music, I love how you can make someone feel something so powerful without saying a word." That isn't to say Ribbons is without humor, either. Shortly after he mentions "the wisdom of the cow" during "The Art of Living", a cow moo can be heard (and is later repeated on the last chorus). Why include it? "Haha, well there's a lyric about a cow, so why not?" Wilkinson laughs. "The clarinet part was also intended to represent the cow. I didn't realize how friendly and playful cows are until I moved to where I live now. On one of my regular walks, there's a meadow of cows and they often come over to check you out, the younger ones especially. They are all individual characters too, like cats and dogs, there was one small and particularly friendly one that reminded me of my cat Johann, she was trying to lick the furry wind cover on my microphone." "I play all of the parts in that track, in fact, even the children chanting is me," he tells us. "It started out, like many of my tracks, as a guitar riff. The other instruments followed, the idea for the footsteps and knocking as percussion just came to me, I can't say how or why. The biggest challenge, although fun, was getting my voice to sound like a group of children. I also had to get a heavy oak braced door into my studio (I just happened to have a spare one propped up outside) as I wanted to record myself knocking on it with bare knuckles, doing several tracks of that across a whole song made my knuckles sore, so playing other instruments after that was a bit of a challenge." Yet amidst all these acoustic guitars, fiddles, and beaten knuckles lies perhaps the most direct Phantom Brickworks-styled track in the form of "Pretty Ribbons and Lovely Flowers". With an envelope-folded squelchy synth sound and looped, mysterious vocals, it stands apart from the rest of Ribbons by being the most electronically-minded track of the bunch. With something going so far against the mood, one has to wonder how this made the cut, and even how it came about. "The chord sequence was sampled from a noise experiment I made years ago at my previous studio," Wilkinson explains. "Back then I was playing around with creating feedback loops by connecting an old digital delay pedal to a mixing desk and sending the output signal back into itself, there was no source sound, the sound comes from the feedback. Normally, such an effects pedal is for applying an effect to a source, such as a guitar, but with pure feedback, you amplify the inherent noise floor and get to hear what the device sounds like without an external instrument, it's like you're putting a magnifying glass on the sound of its circuitry. I always liked that particular short recording of feedback, it sounded really earthy and distorted, but in a warm unique way, it had a rhythm to it, like a little musical phrase. "Fast forward several years and into my current studio, I was looking for things to sample into my Roland V-Synth," he continues. "The V-Synth enables you to sample a sound and manipulate it more intricately than you could with a regular sampler, for example with a vocal sample, you can re-play the vocal melody in legato and play real-time harmonies, stretch the timing, shift the formant (bands of frequencies that determine vowels/timbre of a voice). I sampled the feedback/pedal jam from years ago and started to play chords with it. That went down first, then the vocal sample came later. "It's a recording that me and a friend found on reel-to-reel tape about 15 years ago. The tape belonged to his grandma and had a recording of her, probably from the 1950s or 1960s, singing a capella. I sampled portions of her singing and re-pitched it and played with the timbre. It was a track that just snowballed really, it all came out quite quickly. One idea dictates the next, I love it when that happens, but with a good dose of experimentation and chance along the way." Yet as compelling as Ribbons is (and assuredly rewards multiple listens), one has to wonder what's next for Wilkinson, especially given the fact that he won't be touring the record in any way, shape or form. "At some point, I'd like to travel around Ireland and experience live trad music in pubs, I think that might excite me too, seeing people create wonderful sounds with boxes made of wood and strings. But I don't really get much out of big stages and big lighting rigs etc. I want to get closer to the music, which is why I like being in a small jazz club close to the musicians, sitting down with a glass of wine. I didn't always feel that way, as a teenager I loved going to metal concerts and I loved the mosh pit! Apart from that time during a Sepultura concert where I was part of a huge crush and my feet weren't on the floor, and me and the people around me were starting to tilt diagonally. Those days are over -- give me a chair and a table any day!"